Document, document, document. We were here. The deal is that you build your dream home, but the coffee farm stays. There are several types of coffee here. We hit the jackpot this year. Fooled you – we didn’t win lot #50. They harvested coffee beans the day we drove up the mountain. We had never seen this, so maybe you haven’t either. I can’t tell you much about it, so all you get are pictures, and a few stray comments to balance the page. Deal? Every lot has coffee beans, but they are not all the same type. Interestingly these beautiful fruits are called coffee cherries. Many countries harvest coffee cherries by hand, but not here at Ka’anapali Coffee Farms. First, picking up the wagon at the barn. Then the strip the branch of coffee cherries and empty them into the wagon. As many machines as we have seen in the Central Valley, this was a new one for us! Coffee bean harvester at work stripping the coffee cherry off the branch. It’s pretty tall to have to fit over the trees, so that driver has a magnificent view down the mountainside. The harvester could see all the way to Lana’i, the little island visible under the clouds. You guessed it, Ka’anapali Beach Club. Even the birds enjoyed the harvest. I can’t imagine how jazzed they were after following the harvester around all day picking up fallen coffee cherries. I’m sure the cherries aren’t decaf! One last look before we head back down the mountain. Trust me, it’s a lot easier to look at this development than the one we went through on horseback! I couldn’t even remember WHAT they were growing there. It doesn’t matter where we travel. I always pick up a real estate booklet to check out the market. We are not house shopping either, but it’s fun to dream a little. Now the kids know enough about our dream house to sort through the ads and read the good ones aloud to me while I’m driving! Had no idea they grow coffee in Maui, the price of the land… Thanks for the tour! I know, well they want YOU to buy a piece of the property and help finance it! Yes, and I don’t even know what it was, but you should have seen the model home! We saw it last time we were there from the outside. If that house was in downtown Visalia it would cost close to a million. For sure! Set it as a goal, and you’ll be traveling before you know it!!! I really enjoyed this coffee farms tour. Beautiful one!!! Thanks! It’s a must see for us. I’ll look in my old pics to see if I have house pictures. I am drinking a cup of warmed over breakfast coffee as I am reading this. mmmm My husband’s coffee is good all day. I don’t mind warmed over. Ooooo lovely! I adored this post, well done, beautiful photos. The shot with the sea was dazzling. I must say, I would not mind that job! Wooo, nice view. I like imagining the extremely contented birds imbibing of those rejuvenating berries. This was absolutely fabulous, well done! They didn’t get too excited about anything. I understand that coffee is used to help adults with ADHD when they self-medicate. So these birds were cool when we came up to take pictures. No worries from them! Birds NOT excited?!! Astounding!! All the birds I meet here are incessantly animated. You pet them, from a hulking crane to a wee song-bird and they just exude heat from all that energy! Yes, but these were imbibing coffee berry juice. They were awake but calm!!! Of course, we didn’t try to make friends with them. I’m not a bird person. I’m deathly afraid of beaks. That is most intriguing about the increase of concentration from coffee in adults, I did not know that, interesting. I love coffee but tend to avoid it, which is sad. Never be sorry to add a p.s or a p.s.s. or p.s.s.s… I love your comments. Mom and I always loved to look at houses. Mom and Dad did that when we were little dragging us along. We loved it eve then. It’s fun to watch them go up. My girlfriend and I used to go around to the new housing developments and find a way to sneak into the almost =-finished houses that had doors to keep us out. Windows work well. Sounds like we had similar childhoods in this way. I was constantly roving about houses as they were being built, in all the stages, and yes, windows work most swimmingly XD I am especially fond of the memories of exploring them in the winter, ooo with the snow, lovely. In the winter my neighbor and I preferred exploring outside. Grass grew pretty tall in empty lots in our neighborhood. They made great forts. The drainage ditches in the front of the houses made great places to mold our own architecture, and built elaborate cities for worms. We would have been fantastic chums as children!! Yeah we would have. Too bad we weren’t kids at the same time in the same place. We’ll just have to be satisfied to be chums as adults. What I remember is that the Kona Coffee is delicious. Never went to the fields or watched the harvesting. 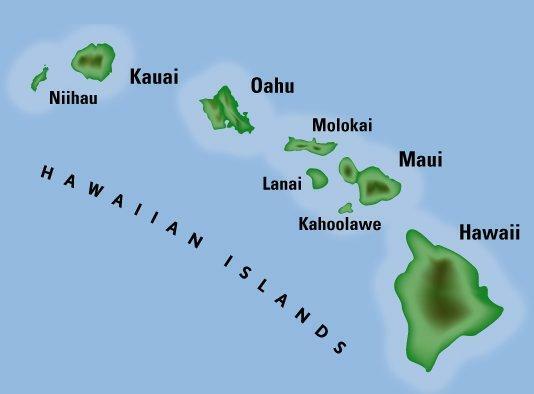 I have been on 5 of the islands, I never went on Lanai ( the pineapple island) there is at least one of the islands that is private – seems there was, I think the Richardson’s that owned it and you had to be a native to go on the island. I went to Maui in November and there was a lot of mosquitoes. Good photos of the processof harvesting the coffee. I went there in November and stayed at a condo that the screen door didn’t close all the way. we had to cover our heads with the sheet because of the mosquitos. I don’t think that Lanai is the private island but it was a long time ago that I heard that. The purpose of being there was a photo trip with my photo class. Had some super great pictures a couple of them won two medals at the Los Angeles Fair. I was walking on air from that. When we get our place I’ll set up my scanner to scan a bunch of my photos. Hope they still are good. I don’t know. I’ve seen those kind of things before on my own site. Where did you see it? What a unique experience! I’m sure every coffee drinkers got excited reading this, and like me, are very envious of you. That coffee cherries is very very interesting. Never heard of it. Excellent post. Glad you shared the process, you definitely keep us on our toes. I’d be so delighted to see it myself. Hihi, I always rely to my informative friend, Wikipedia, for knowledge and verifications. I really want to go there now! I’ve actually never seen coffee beans before. Thanks Rommel. You are the bomb.com! Aren’t those great! It was quite a find! Thank you for this leisurely wander around .